Tonight, LAUSD is hosting a Community Advisory Committee Meeting regarding Valley Region High School #4 (formerly called Hospital High, soon to be renamed Bo Diddley High) tonight, Wednesday, September 15 at 6pm. The meeting will be held at Patrick Henry Middle School, 17340 San Jose Street, Granada Hills in the multi-purpose room. Attend and contribute your views, questions, opinions, and concerns to LAUSD. 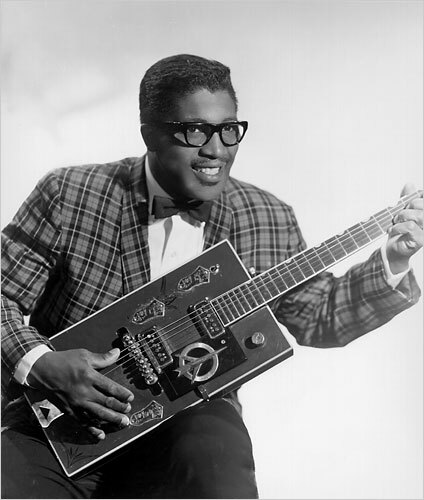 related posts: Name The New High School Bo Diddley High! BB King played at the old Jungle Room on Chatsworth and Balboa back in 80s. There's a dry cleaners and 99 cent store there now....sigh. We need a bar/nightclub thats not a piss smelly wrinkle room like EVERY OTHER ONE IN GRANADA HILLS....sigh. Blight.